We're on a mission this time around...no, wait. 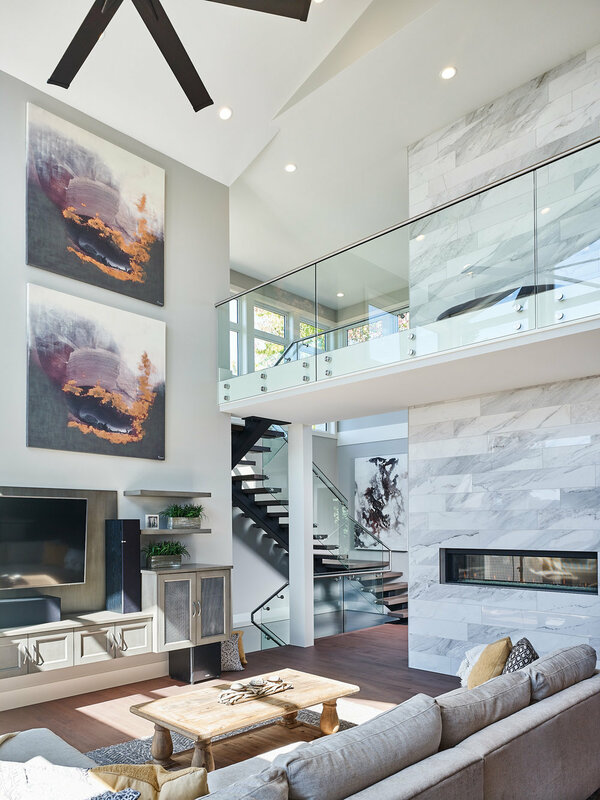 We're off to Mission, BC for this week's instalment of Georgie Awards finalists: Gold Edge Properties' Whidden18. As with our last two blog highlights, Gold Edge is another first-time entrant. This was one of the year's most surprising projects, both in its level of detail as well as in its location. 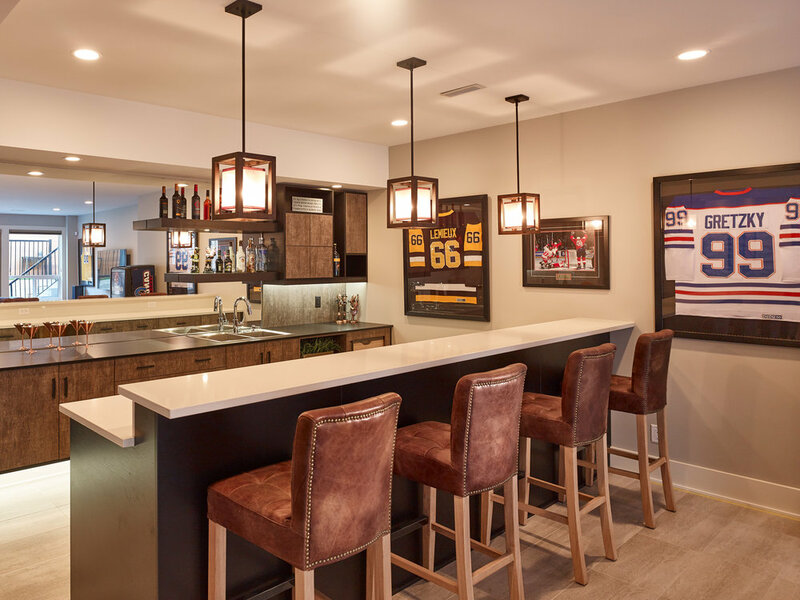 It's hard to think of Mission as a destination for a luxury home project, but TJ and his crew at Gold Edge seems to be doing a fine job of changing that perception. This project featured both extensive and thoughtful interior detail, as well as one of the best outdoor living spaces we've seen all year. 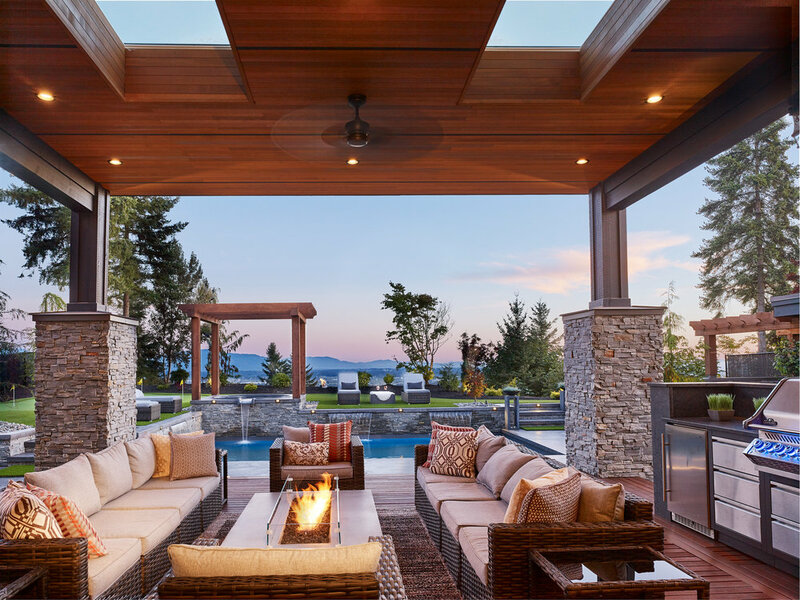 This project came in as a finalist in the Custom Home $1.3-1.9 Million category, as well as Best Outdoor Living. Having photographed all sorts of projects up in West Van and Langley, it's easy to think we've seen all the good tricks, but this one took full advantage of its hillside location in Mission. And we do mean full advantage: they even framed a view of Mount Baker if you look across the yard at the spa pergola from the dining area. The kicker? 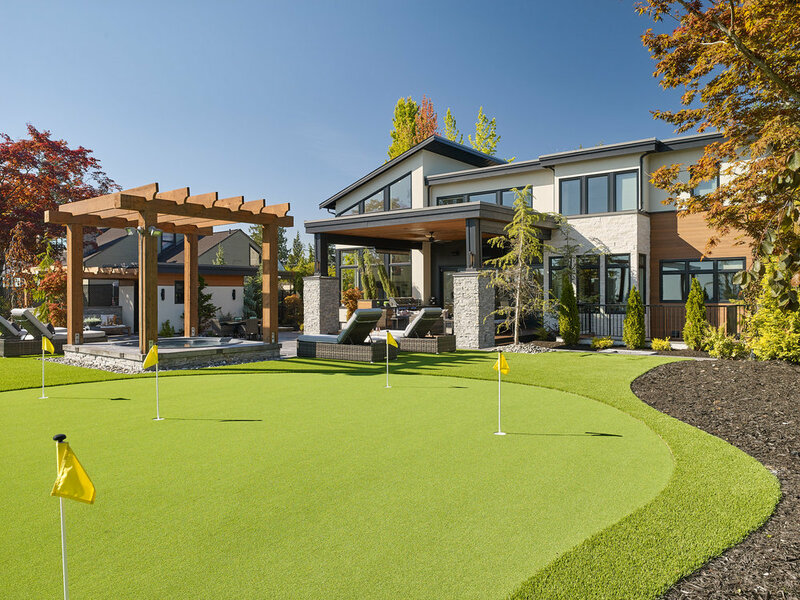 The whole outdoor area is reverse-terraced, so you can watch your kids use the (lit) putting green after dark, while sipping wine and enjoying snacks--which we did after shooting finished!